I hope you are well. I got my beautiful Bella from Owyheestar back in April 2014. She is the love of my life. If I recall correctly Bella’s parents were Livee x Blue. Bella had a sister named Ruby who looks exactly like Bella. I sometimes wonder if they are twins. Bella is such a wonderful companion. Her personality is very sweet, calm and loving. We run together almost every morning. 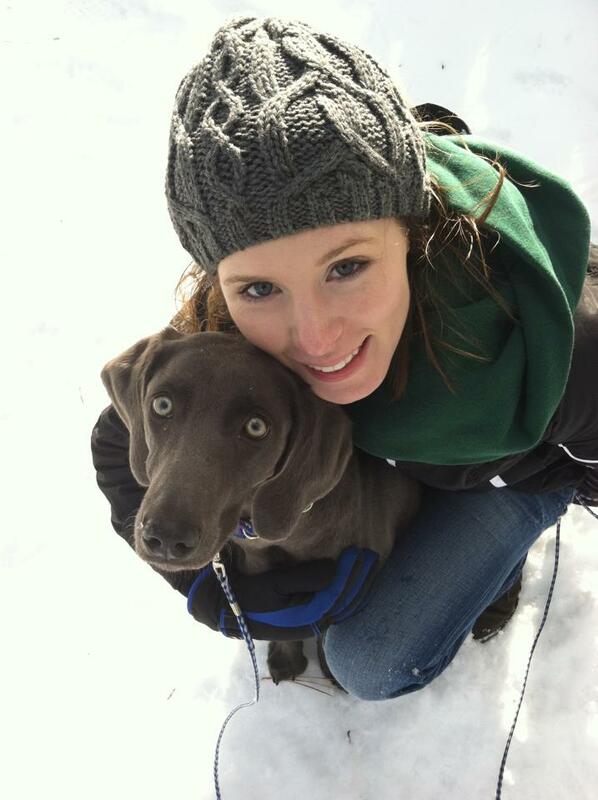 I used to have two weims (both passed away some time ago) and always knew I wanted a second. As I was visiting your website today I saw you have two longhairs available. I’ve always wanted a longhair. I was wondering if they were still available. I would be very interested in learning more about them. I can complete an application but thought the first step would be to see if they were still available. One quick story. Bella and I were hiking at Smith Rock State Park and came across another blue weim. We stopped and chatted and the owners said they also received their weim from you. Blue was the father but they had a different mother. I was so happy to run into another weim from Owyheestar. 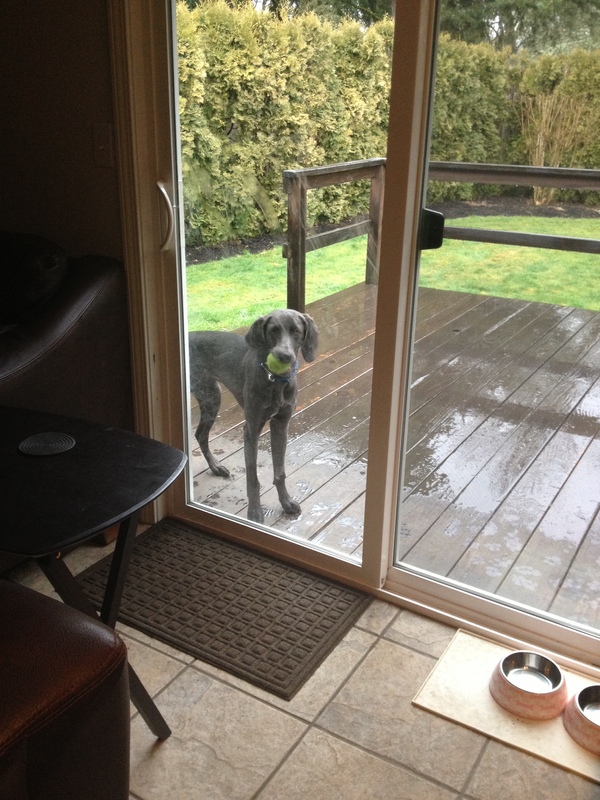 There are quite a few OwyheeStar Weimaraners around the Pacific Northwest. It is always fun to have a chance encounter with another one. 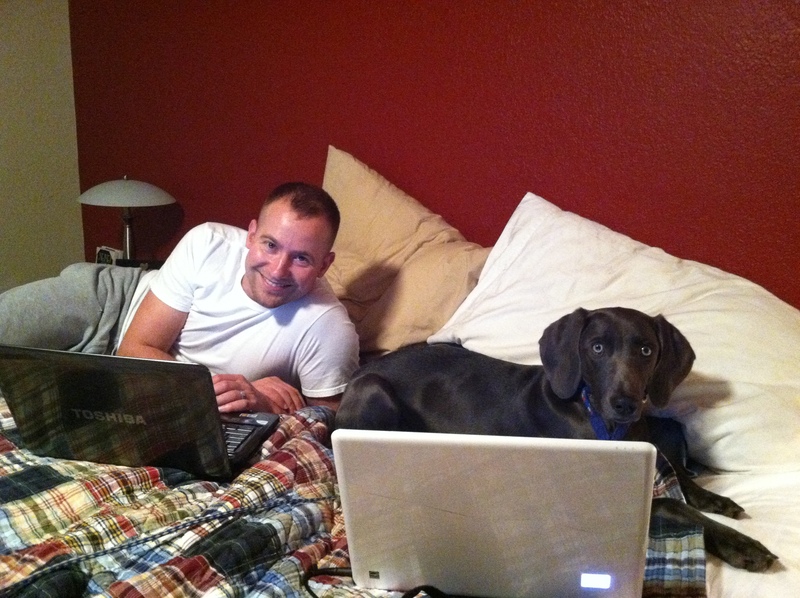 There is the group of Weimlovers who meet in Salem once a month–quite a few OwyheeStar’s typically are there. We look forward to working with you as this process unfolds. Thanks for your loyalty. We are loving Daisy. She is becoming difficult for Roger to train. We’re thinking about maybe calling in a professional. She’s still a wonderful girl. We just need to work on the biting &/or chewing. Breeder’s Comments: We are glad you love Daisy. You mention it is difficult for Roger to train her; we hope that the two of you are equally involved–presenting a united front. 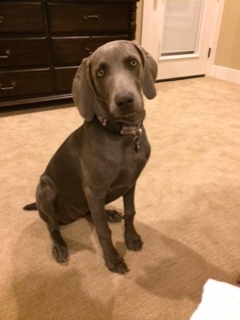 We have discovered if there is one of the two who can be exploited or manipulated–the Weimaraner will find a way. Raising these wonderful family members can pose many challenges, but as you well know the benefits are many. Nonetheless, they are manipulative (and beyond cunning). A trainer might be the answer. The right trainer can be very helpful with learning how to manage these behaviors. More than anything, the best trainers, are training humans to manage the situation in a positive manner. Honestly, not everyone’s approach is equally successful with this breed. Some trainers (and their methods) work better for different people. In general, all trainers have their style–and a bias. This can work in your favor, or against you. We have some pointers (which Jan shared) we hope to post in the (not-so-far) future. The methodology should be fun, and upbeat. That doesn’t mean there are no corrective measures ever, but the emphasis should not be on giving a correction. This is about good leadership skills. The best leaders lead by example, and inspiration. Again, that doesn’t mean a cookie-bribe approach is going to get rock-solid performance. Knowing when, how, and what kind of reward to use is something a good trainer can help you discover. If things are not going perfect, take a deep breath. This too shall pass if you don’t overreact, and move past the obstacle. Sometimes this means going back a step, and repeating a success. Build one success upon the other. Remember to keep it upbeat, fun, and positive. Always stop the current activity with a successful moment–not a correction, or disapproval. We hope this will be helpful. Frustration, or focusing on the problem is not the recommended method of getting past the problem. We tried the Petstore puppy class…..Eh. It was great for socialization, and of course Emma learned all the commands in minutes (sit, down, stay, come, roll over, bow, crawl, etc)…but she would only do them for a treat because that was their training method. We went into the class not using treats, were convinced to use them, and now we are not using them anymore. We found that she became hyper-focused on the treat. We also took his advice and worked harder on fetch. 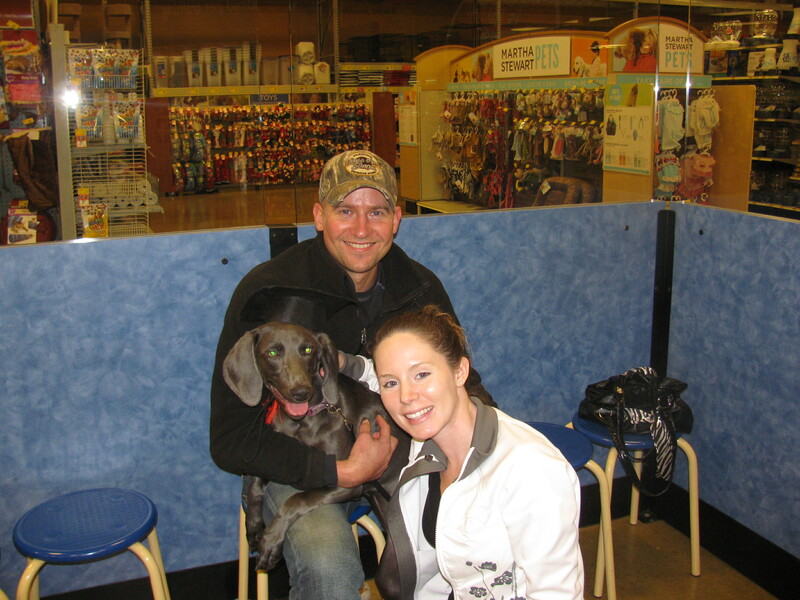 We like many other Weim owners found that she wasn’t really interested, or that she would do it 3 times and be done. It took me working on it as I hard as I was working on other commands like ‘come’ and ‘stay’ at all times of the day and just within the last few weeks it finally clicked for her. It has been a huge help being able to expend some of her energy by playing ball!